Tupac Shakur is in the Rock & Roll Hall of Fame! Announced in December, the induction became official at the 32nd Annual Rock & Roll Hall of Fame Induction Ceremony that went down tonight at the Barclays Center in Brooklyn. Joining a class that includes Pearl Jam, Journey, Yes, and the Electric Light Orchestra, 2Pac becomes the sixth hip-hop act (and first solo act) to make the Hall — following N.W.A. (2016), Public Enemy (2012), The Beastie Boys (2012), Run DMC (2009) and Grandmaster Flash & The Furious Five (2007). 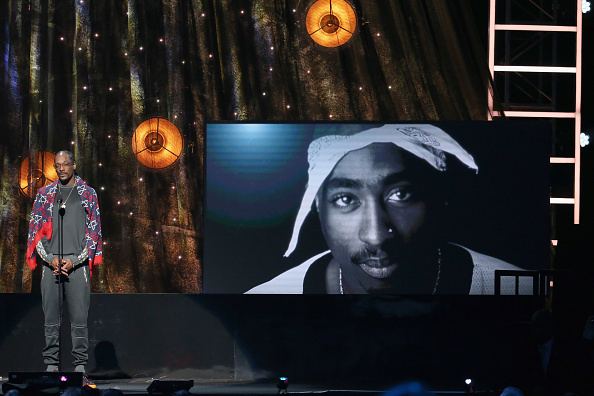 Snoop Dogg accepted the honor on Pac’s behalf. During his speech, he revealed Pac was the one who got him smoking blunts back in the day. He also shared a story about a time they were scared shitless while parasailing together. 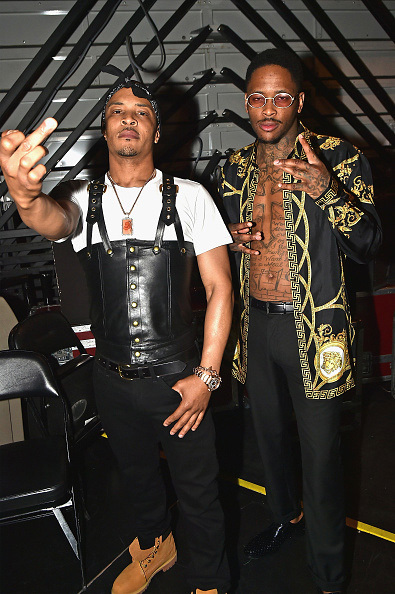 Snoop then jumped back on stage with YG to perform “2 of Amerikaz Most Wanted.” Followed by Treach (Naughty by Nature) with a performance of “Hail Mary” and T.I. with “Keep Ya Head Up.” And, as you can see, all parties were decked out in Pac-inspired outfits. Various clips of the performances can be found online, but the official airing will go down April 29th on HBO. UPDATE: A crafty citizen managed to get Snoop’s entire speech on YouTube. Check it out before it’s inevitably taken down.